Everyone in our family is so excited because the stork has made a recent delivery. Riley is over the moon. 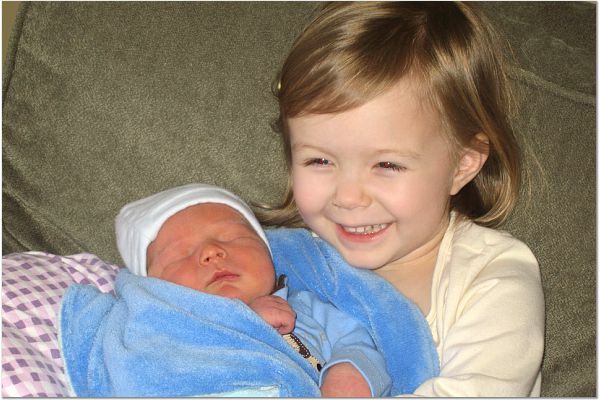 She is so excited to have baby brother. Can you tell? I’ve been quilting every night like a mad woman. I’m trying to get a piece done for the upcoming show. (sorry it’s sideways…but you get the general idea of the design) Unfortunately, I don’t think I’m going to make it. 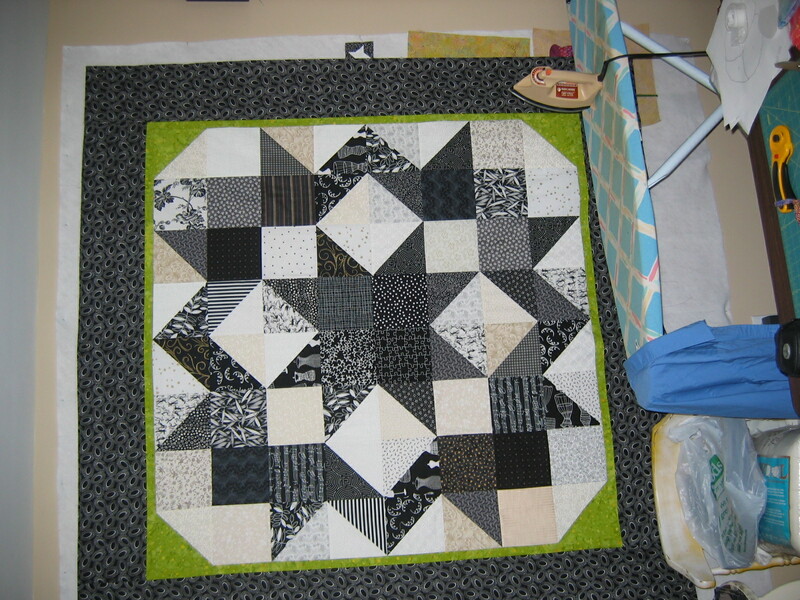 I’ll do my best but there is still a lot of quilting to be done and then there’s the binding. Well, at least I’ll have one piece in the show and a piece for the auction. 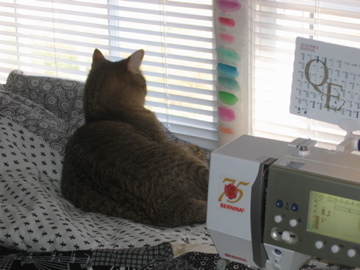 And here is the real reason my quilting is so bad. He’s called Fred. He’s so laid back but don’t move too fast, he scares very easily. Here he is on my quilt while I’m trying to work. He’s always making a comfy spot for himself. He especially loves this spot because he can see outside and keep watch on all the birdies. 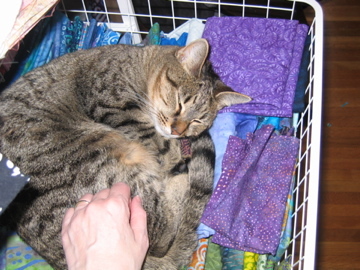 Here’s the “Daphne Do” taking a cat nap in my fabric bin. 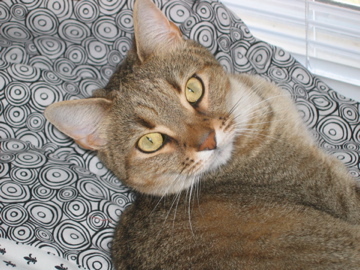 She loves batiks as much as I do.